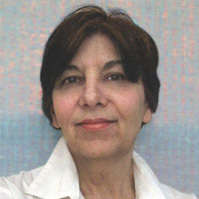 Anna Jurinich was born in Zadar, Croatia and emigrated with her family to the US in 1958 when she was eleven years old. Residing in New York gave Anna the opportunity to attend New York City’s most prestigious art schools and have access to it’s great museums. She was an art instructor for many years and illustrated a cookbook and four children’s books. However it’s Anna’s paintings which have won her awards, grants and admirers that have given her, her voice and most satisfaction. She is a prominent artist whose original, insightful and thought provoking paintings have been exhibited internationally and in museums and galleries throughout New York. Anna has two sons and loves living in New York near the Long Island Sound with her husband, Giampaolo.